The Splash About UV Combie is a great mix of Splash inventions. Taking the very best from our UV UPF 50+ range and our best selling wetsuits, we have invented the Combi. Perfect for all day on the beach when its windy, but the sun is out. Now you can relax knowing they are sun protected and still warm. 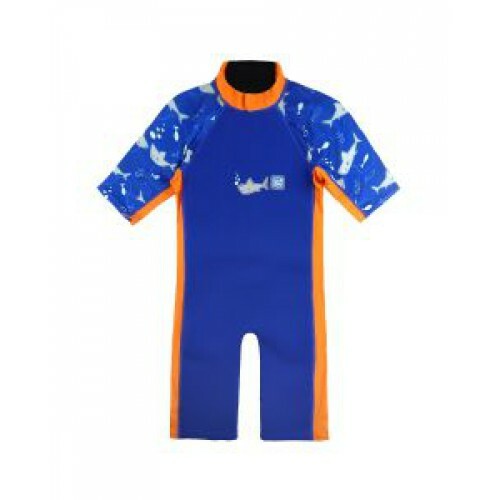 Great for swimming and splashing in the waves, or by the poolside. Super soft Nylon Lycra UV fabric combined with our high quality flexible neoprene means your child can wear this comfortably all day. Easy to get on and off, the UV Combi, combines fun and protection in the sun, with warmth when you need it. Easy to get on and take off.